LatinoFoodie has been determined to incorporate more vegetables, especially nopales, into the dishes we prepare. 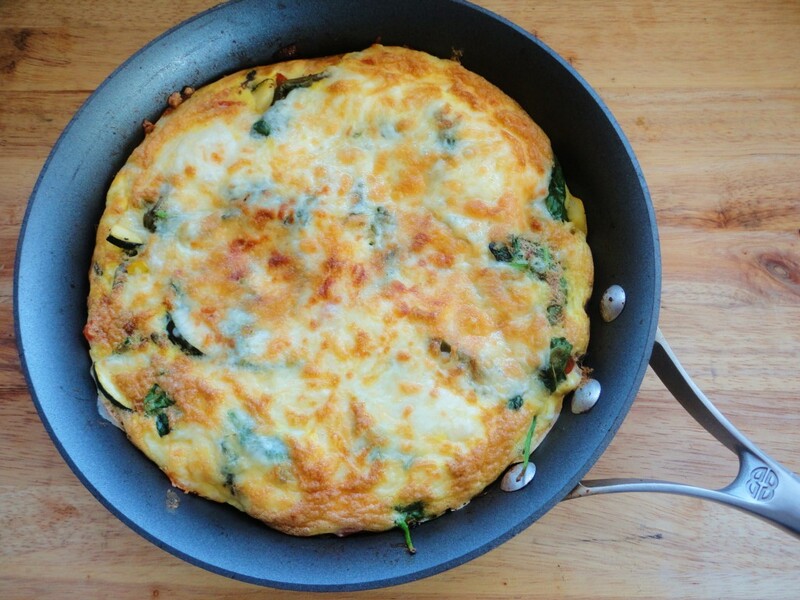 This breakfast frittata is the perfect way to do just that. Plus, we’re now officially in Lent and we know many folks are looking for meatless meals on Fridays. 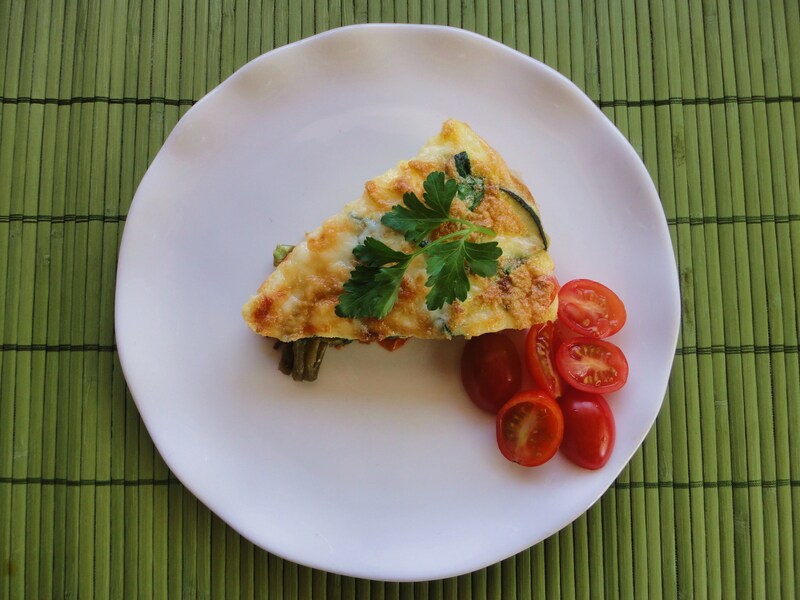 Why not start the day off right with this delicious Frittata de Nopalitos? In a medium sauce pot, bring the nopales and water (just enough to cover the nopales) to a rolling boil. This will help take away some of the slime. Allow to boil uncovered for 2-3 minutes. Drain and set aside. In a medium-large non-stick skillet (oven safe), add half the oil and the onions and sauté over medium heat until just translucent. Add the zucchini and squash, season and sauté until slightly browned, about 5 minutes. Pour the contents of the pan onto a plate/bowl and set aside. In the same pan, add the rest of the oil, and sauté the green onions and nopales for about 5 minutes. Add the tomatoes, season and sauté until the tomatoes just begin to breakdown, about 2-3 minutes. 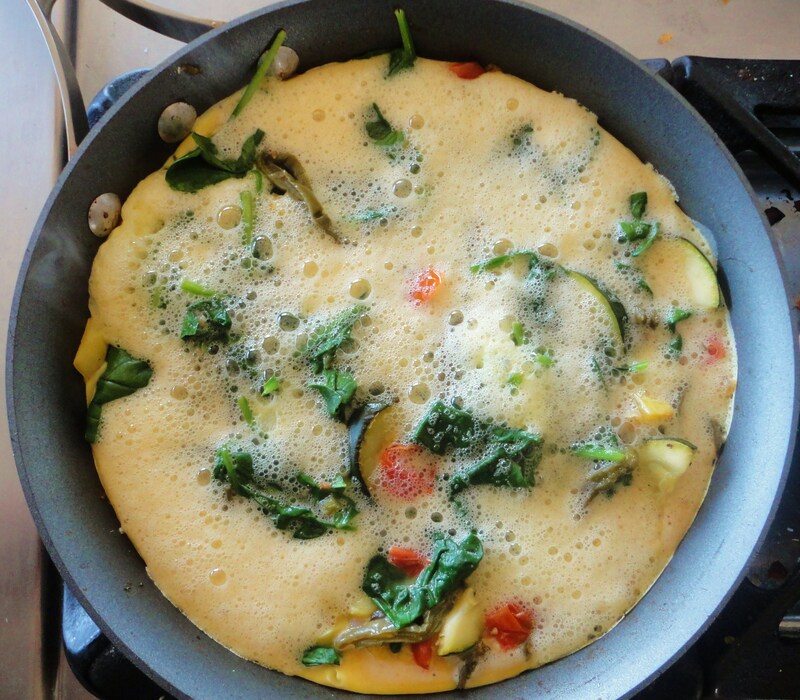 Add the zucchini and squash back into the pan and cover with the spinach. Place a lid on the pan and allow the spinach to wilt, about 2-3 minutes. Using some tongs, mix all the ingredients until everything is well incorporated and then carefully pour in the whipped eggs. You can stir it once immediately, but it’s not necessary. Just cook it on a slightly reduced flame, medium-low. Get your broiler ready. Once the bottom has set, about 5 minutes, evenly sprinkle the cheese on top and carefully place the pan under your broiler. If you’re broiler is anything like mine, it will take 1-2 minutes to set the top and give the cheese a nice golden color. Do not walk away from it or you might end up with a blackened frittata. Remove from the oven and allow to set for a few minutes before serving. This is great with some media crema or salsa. Quick tip: double up on your chopping so you don’t have to store half a squash, half a zucchini, half the spinach, etc. Just set them aside for a quick and easy salad or pizza for lunch, using some marinara sauce and some of that extra cheese you grated.